It is amazing how state house has become so much connected to businessmen and women in this Country to an extent that it has to give them permission to sue their accusers as if they were a department of State House. How does it now become the spokes institution of those companies accused of corruption? How does state house issue a directive to ignore allegations of corruption? This is really sad. 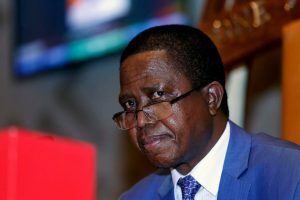 The revelation by President Lungu’s press aide Amos Chanda that three companies approached state house to seek permission whether to go ahead and sue those alleging corruption against their institutions in their dealings makes sad readings, if true that Amos issued such a statement. When we opposed the housing of Road Development Agency (RDA) at state house, people accused us of hatred and envy. Today, state house has become synonymous to or associated with corruption and other wrong deals related to contracts mostly from roads constructions. There is need to revert the housing of RDA to its parent ministry to preserve the little remaining dignity and integrity, if any, of our State House which has become one of the world’s greatest amusement park. Coming to the directive by state house to ignore whistle-blowers and also the challenge to ACC from Justice Minister, Given Lubinda to “summon” citizens alleging corruption against government officials and others allegedly associated with state house, shows how government officials in this government have become so tolerant to corruption and its ills. I couldn’t believe such a statement coming from a former APNAC Chairperson in the name of Hon Given Lubinda. Instead of him challenging ACC to move in and investigate the alleged corruption in government and among ministries and associated companies, he is proposing “summoning” of whistleblowers by the ACC. Unless he was misquoted, his statement is in bad taste. The nation is still awaiting cde Steve Kampyongo to sue cde Chishimba Kambwili over allegations of a bribe three (3) vehicles from Grandview International Ltd. His reluctance to sue cde Kambwili speaks volumes on the matter. This is why ACC must move in now that a Director General has been appointed and ratified by the National Assembly. Zambians want to know the truth about this matter. We don’t what to know those fists and water baptism that those accused are occasioning on cde Kambwili but the truth only the truth which can be established through a Truth Commission of Inquiry in the matter. When the wise speaks the wise ones listens. When corruption and wickedness flourish, the most affected are the poor and vulnerable orphans and widows who are left to fend for themselves. But the bible puts it clearly, the end not the wicked is death, destruction and utter embarrassment either in this life or in the next life.